Few people know that Naissus (modern day Niš) is the birthplace of Constantine the Great, or that he constructed a mighty armory there. Major Heinrich Kahn of the SS certainly did not. He is sent to the backwaters of the Balkan's on a mission by the Fuehrer himself. 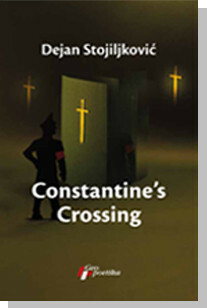 He must find Constantine's Crossing beneath the town and capture the final relic -- the battle sword of Constantine -- that will give Hitler the ultimate power he needs to complete his plan to master the world. A series of events will change these men's lives forever, along with the lives of every inhabitant of the town. No one is safe any longer - under the cover of darkness, someone is killing local peasants and a lot of German soldiers. Even worse, the bodies are found massacred.